It almost impossible for me to enjoy a pampering session with my current extremely-busy-with-work kind of schedule. When it come to my working-from-home life, it always about managing my own time and getting my job done on time. Thankfully, I managed to clear out a good half day session and visit Mayfair Bodyline at Pavilion to enjoy my long needed pampering session. The best part - I actually get to enjoy a personalised customised treatments that suitable for me! Mayfair Bodyline has more than 31 years of experience in slimming and beauty industry. 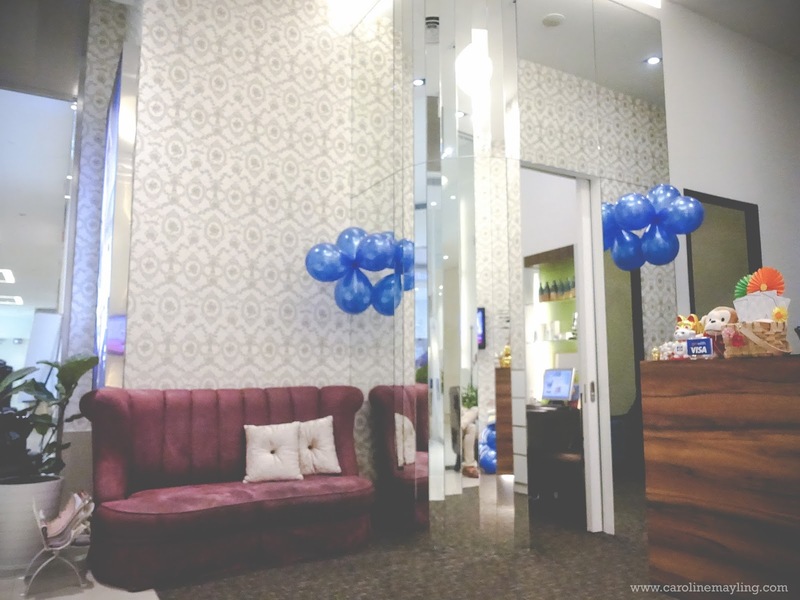 As leading slimming, facial and spa centre, it designed as one-stop beauty centre and their services come with advanced technologies. Operated by a team of professionally trained consultants and therapists. Besides facials and body slimming treatments, Mayfair Bodyline also offers a series of body pampering treatments to bring you through a sensory journey that comes with the satisfying result which you will be proud to flaunt. Mayfair Bodyline in Pavilion located at the Beauty Hall (Level 7). Tip: Look for the lift that brings you straight up to 7th floor. I was greeted by the ever so friendly beauty consultant and then proceed with the consultation prior to the treatments. I personally think it's really important to go through a consultation session in order to understand your skin better and identify your current skin condition before proceeding with taking any treatment. 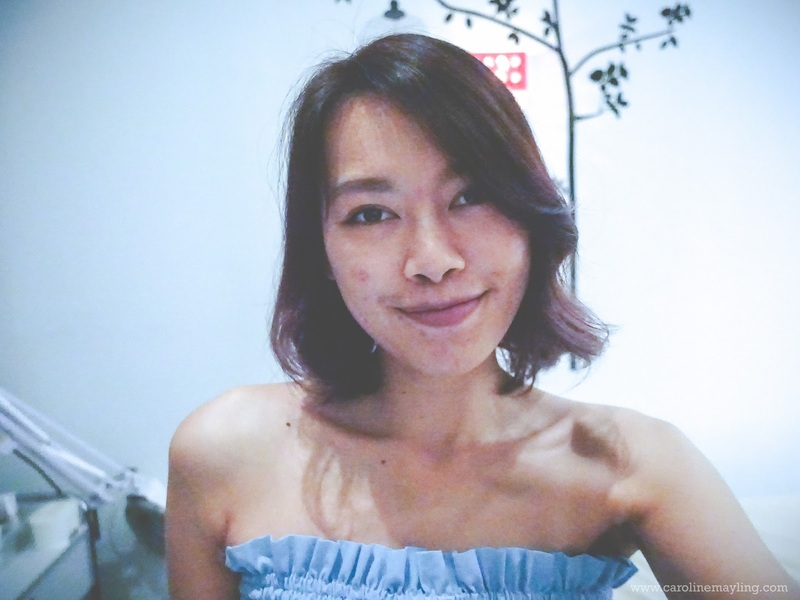 As for myself, I am having a combination of an extremely sensitive skin (you're able to see the redness on my skin after I removed my makeup), acne-prone skin and dehydrated skin at certain areas. 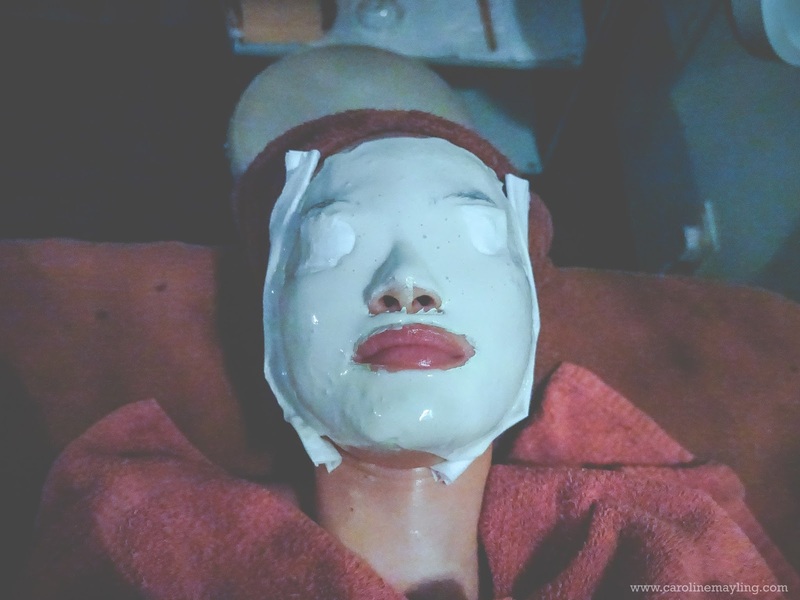 It's tricky but frets not as this is where they customise a facial treatment (Perfect Skin II with Revitalizing Mask) that suitable to my current skin type and skin condition. Also, I was informed that I will get to enjoy the slimming treatment as well as hot blanket session too! The Perfect Skin II Facial known for its ability in improving dry, dehydrated, stressed, sensitive and slightly wrinkled skin. I really enjoyed the entire facial treatment. The extraction process wasn't a painful process to go through too. 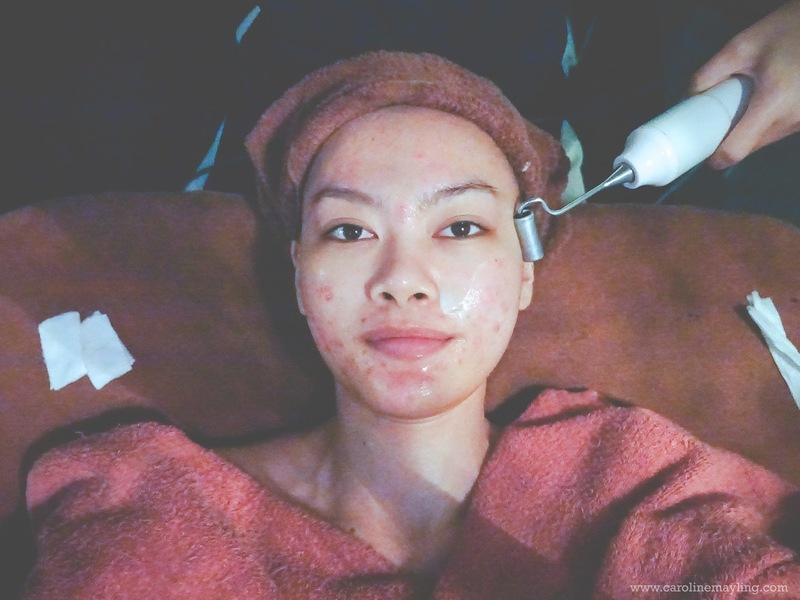 I love how the treatment not only cleared the impurities and blemishes, it hydrates my skin too! After I am done with the facial treatment, the professional beautician proceeds with the Slim Master treatment. Alright, I know there's a lot of you out there going to say this - you're SUPER skinny already! Why do you need a slimming treatment?! Trust me, it doesn't matter how thin and skinny you are, there's always an unwanted layer of fats in your body - it's the tummy part for my case. I didn't expect to see that curve on my waist right after the treatment! It's really amazing and can you imagine that I actually required to go through at least 3-4 sessions in order to completely get rid of the unwanted fat layer around my tummy area? 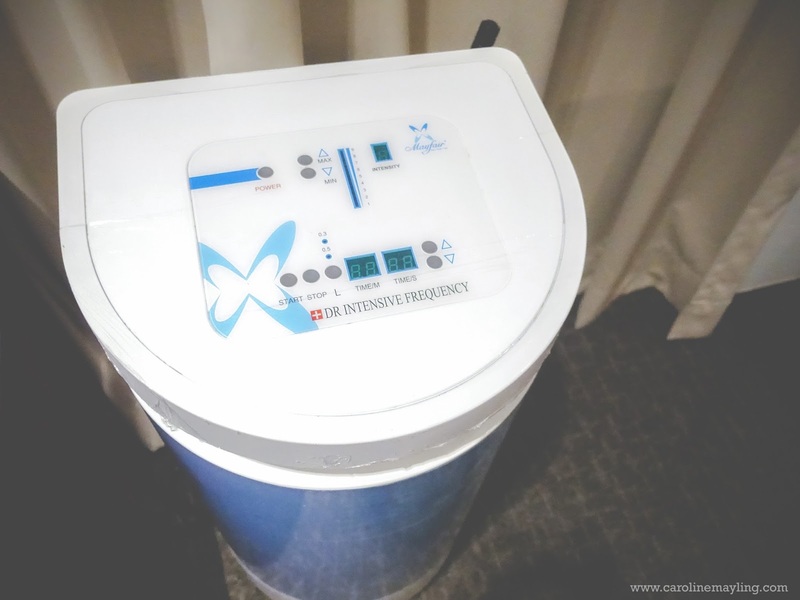 Next, I was brought to another room with the VKT (Vibe Kinetic Therapy) machine and all you need to do is stand on the machine for 10 minutes only! 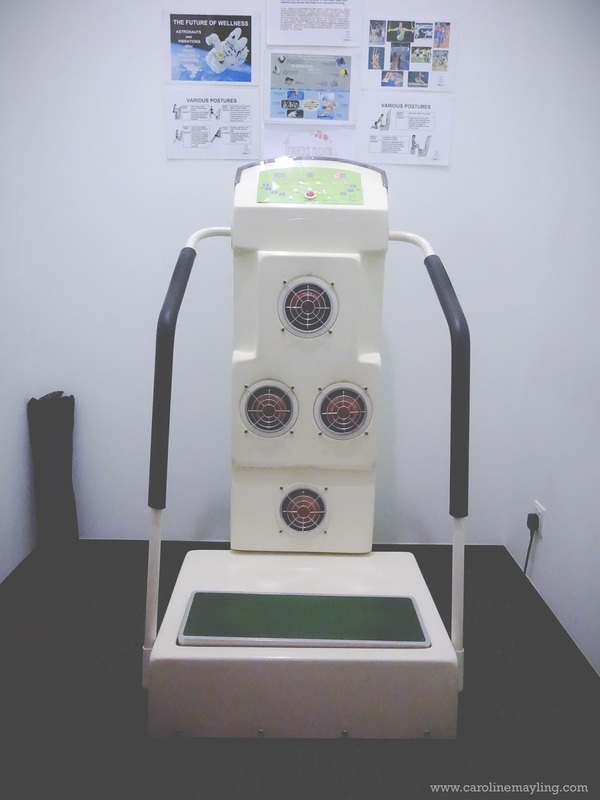 The vibration effect of VKT is like thousands of small rolling massage with far-infrared that helps to burn fat. The calories consumption is much faster and more efficient compared to normal exercise. For only 10 minutes of time, VKT can consume 500 calories, equivalent to one to two hours of the exercise. Therefore, it helps to speed up weight loss program. I must tell you that this session really feels like I just done work out in the gym for 2 hours! I was then brought back to my room and this time, I get to enjoy the CLA Chilli Slimming Wrap together with the Heat Blanket. CLA is the essence extracted from chilli pepper seeds. The active element in capsicum essence can be effectively and rapidly stimulate the decomposition and excretion of the body fat. On the other hand, the heat blanket session helps to relieve muscle, improve blood circulation in addition to reduce fluid retention. It didn't give me any discomfort and I actually almost fell asleep throughout this entire session! The whole customized treatments were so amazing and I think that probably the most luxury and best pampering session that I've ever had so far. Guess what? 10 LUCKY READERS will stand a chance to redeem A CUSTOMIZED TREATMENT by leave a comment below - WHY YOU WANT TO RECEIVE A CUSTOMIZED TREATMENT from Mayfair. 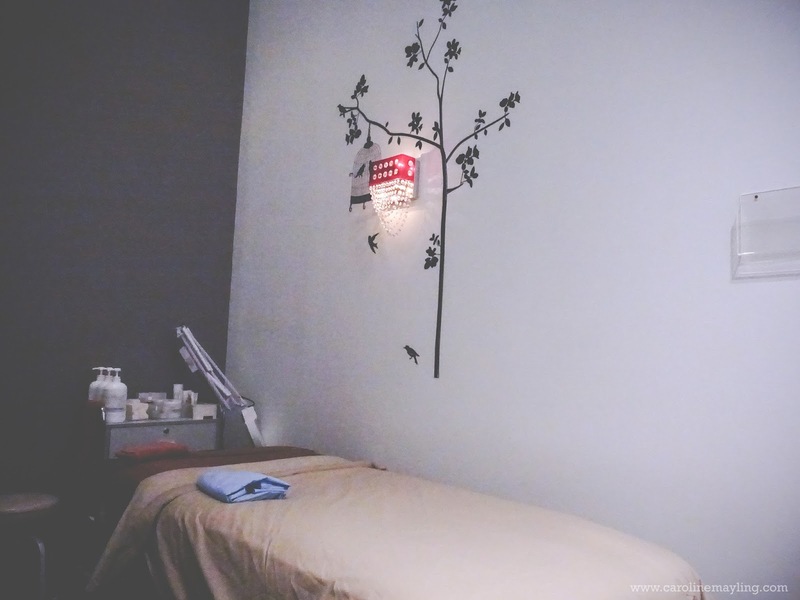 I WANT TO RECEIVE A CUSTOMIZED TREATMENT from Mayfair! Because there are too much unwanted fats in my body, I have acne scars, I need spa to relax - I'm just too tension. Everything is perfect for me. I NEED THIS!!! I WANT TO RECEIVE A CUSTOMIZED TREATMENT from Mayfair simply because I want to be more beautiful! I have hidden fats, unsatisfied with my skin condition, I'm feeling old. I really wish to have a customized treatment that suits what my body needs! im desiring for a body slimming treatment to remove the rolls of fat on my stomach and hips for a good health and fit body. i need a facial too to improve my appearance and condition, it takes a lot of stress through exposure to sun. definitely need this before my friend's wedding. wanna slim that stubborn inches! I need this too for my tummy too...haha.. Tried before their slimming treatment, it was really effective with only one session. Nice!